With the close of The Sims 2 Store (booeh EA) I now feel free to convert The Sims 2 Store furniture for Sims 3. 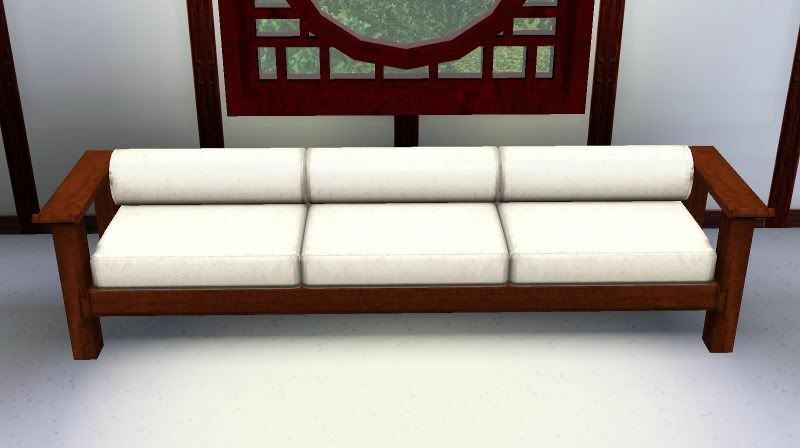 Here is the Asian Fusion sofa for The Sims 3. 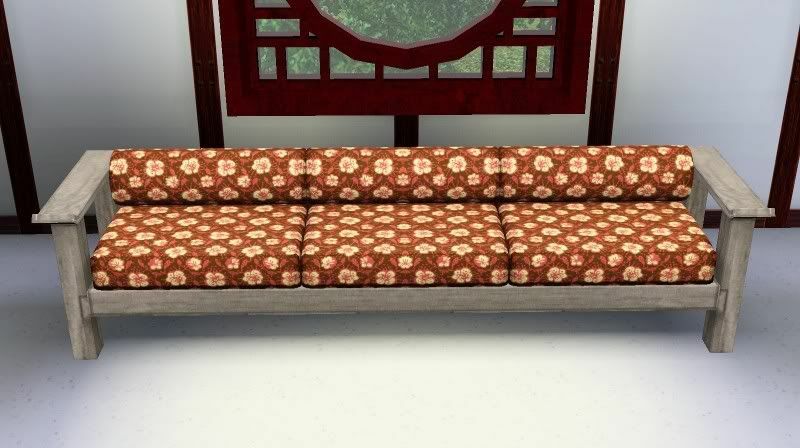 The sofa has 2 channels. Shown below are the default colors/patterns. Enjoy!